Get rid of woodworm infestation now! Firstly, we carry out a full survey of the your premises to assess the extent and severity of the woodworm problem. We then design a tailored treatment for your premises. All types of woodworm infestation can be treated no matter how long or short a time the problem has been present. 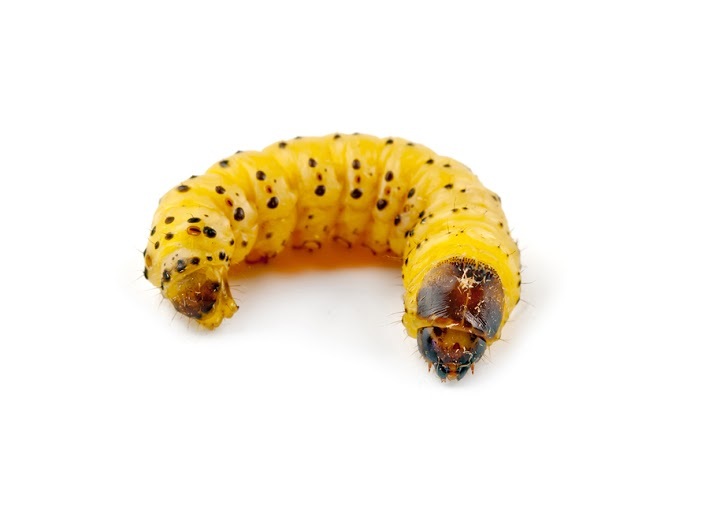 To treat woodworm effectively one section of the life cycle of the beetle needs to be targeted. The best area to target is the larval stage. This stages does most of the damage and their location is ascertained by our survey. By using water-based woodworm treatments the timbers can be protected in layers, as the chemical soaks into the timbers, killing existing infestations but also protecting against any future outbreaks. This type of woodworm treatment is also much safer for people and pets who might be in the vicinity of the treatment area. At certain times other types of woodworm treatment may be needed due to environmental issues. This will be discussed and explained to you by our specially trained surveyors and technicians. All Woodworm Treatment come with a 20 Year Guarantee. Our Woodworm treatments specialists serve both the Greater Dublin Area and the Rest of Ireland. Adult beetles lay their eggs in cracks in wood. In the wild this doesn’t cause problems but in a house or premises this can be in roof timbers, floors, furniture and any wooden objects. The larvae hatch from the eggs and burrow deeply into the wood and begin feeding. This creates a series of tunnels in the woods structure over a period of years and greatly reduces the structural integrity. In roof timbers this can be a major issue. How do I know I have a woodworm problem? Bore Dust – Holes in timber caused by emerging adult beetles. Most times this can be the first sign of a problem. Exit Holes – These holes appear in the wood often round or oval in shape and the wood inside appears fresh and clean. Tunnels – If wood is broken open, tunnels can be seen inside showing where the larvae have eaten away at the wood while feeding. Damaged wood– Wood over time becomes weakened and can crumble when touched or can break when weight is applied. Usually 4-7mm in length & red/brown colour. What should I do if you I find evidence of woodworm holes? Don’t panic! Holes are not necessarily a sign of woodworm infestation. They are what’s known as “flight holes” left over after the beetles have worked their way through the wood and literally taken flight! How do I get rid of or kill woodworm? Proprietary products are available from DIY stores. Care should be taken when using as instructed. We believe that woodworm problems are best handled by trained professionals from a safety and effectiveness point of view. PestGuard’s treatment specialists will quickly identify the nature of the infestation and advise on the most effective and safest course of treatment or if any action is needed at all. How much does it cost to get rid of woodworm? It’s impossible to say as our specialists will need to assess the extent of the problem before they can indicate the cost of treatment. No, woodworm is not infectious and can’t spread to other nearby wood.